Matillion is Data Transformation for Cloud Data Warehouses. To be effective in today’s data-driven economy, businesses need to identify new ways to unlock the decision-making insights hidden within their data. Those businesses that do will gain an advantage over those that don’t. Matillion leverages the power of the cloud data warehouse to consolidate large data sets and quickly perform the necessary data transformations that make your data analytics ready. Legacy ETL and data pipeline solutions are not enough. 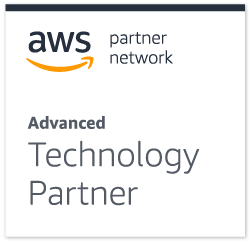 Matillion products are some of the highest rated across the AWS Marketplace, Google Cloud Platform, and Snowflake cloud data warehouse environments. Trusted by companies of all sizes to meet their data migration and transformation needs. Strong ecosystem of trusted technology and consulting partners to support complex data analytic projects. Expert technical support provided by Matillion Solution Architects at no additional cost. Full support offered throughout the customer lifecycle, including trial and complex use case development.